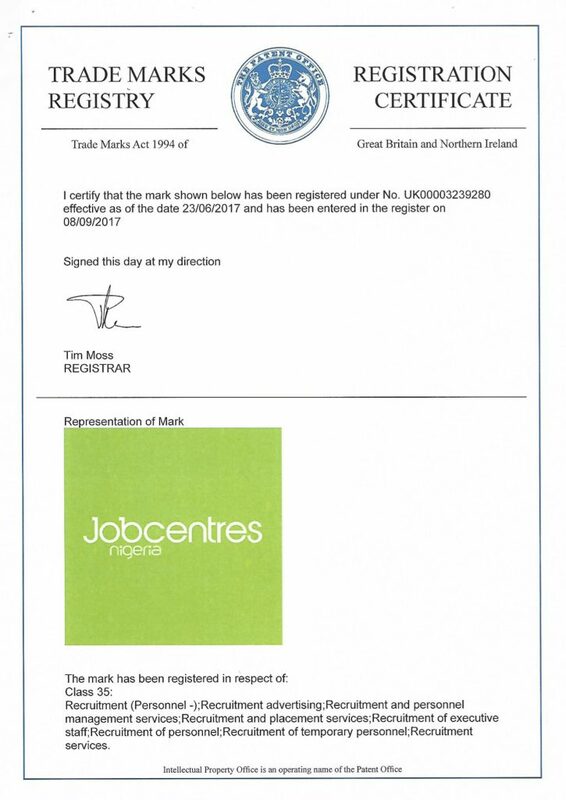 Customer agrees that Jobcentresnigeria.com may use the Customer’s name, trademarks and logos (“IP-Rights”) for the purposes of providing the Services. Additionally Customer agrees that Jobcentresnigeria.com may mention Customer as a reference customer in Jobcentresnigeria.com marketing materials (such as eg. but not limited to websites and brochures), that Jobcentresnigeria.com may use the Customer’s IP-Rights in this context and may present examples of the services provided to and the materials published on behalf of Customer. Our total liability to the Customer in respect of any Services, except for death or personal injury caused by our negligence, is limited to the total amount paid to us during the Contract Term for such Services or N100,000 whichever is the greater. We have rules regarding the content and format of jobs posted on Jobcentresnigeria.com. Their purpose is to ensure that users who search the site or the Jobcentresnigeria.com database get results which are presented as clearly and informatively as possible. 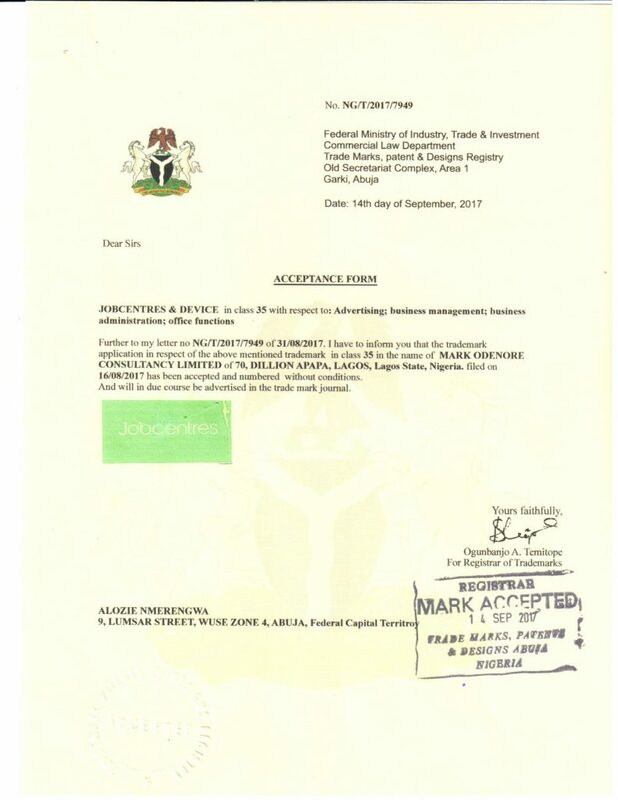 You agree that we may, at our discretion and without liability to you, remove from Jobcentresnigeria.com any advertisement which is posted in breach of these rules. The rules may change from time to time and you are advised to refer to them regularly. Job advertisements placed on Jobcentresnigeria.com must be for genuine vacancies only, and not for other products or services, either relating to or unrelated to recruitment including, but not limited to, affiliate schemes, pyramid selling schemes or any other so called ‘business opportunity’.